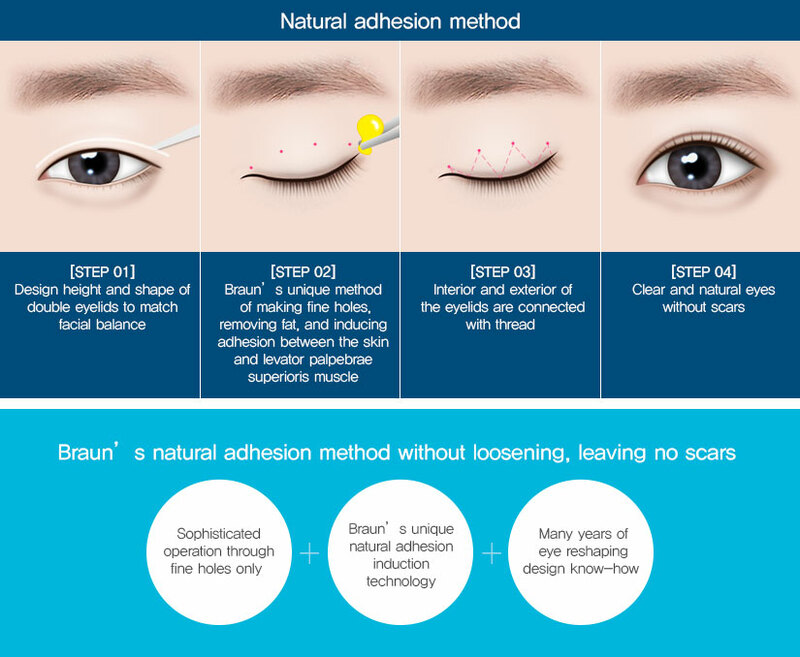 Braun’s natural adhesion method is not a method that connects the skin and sub-skintissue by using the force of thread to artificially create double eyelids in the conventional non-incisional blepharoplasty, but induces natural adhesion between the skin and sub-skin tissue creating a natural double eyelid. This surgery carries Braun’s know-how. Possible to be undone depending on the thread Maintain result It is unlikely to be untied due to natural adhesions under the skin. The surgery is through fine holes, sono incision scars. 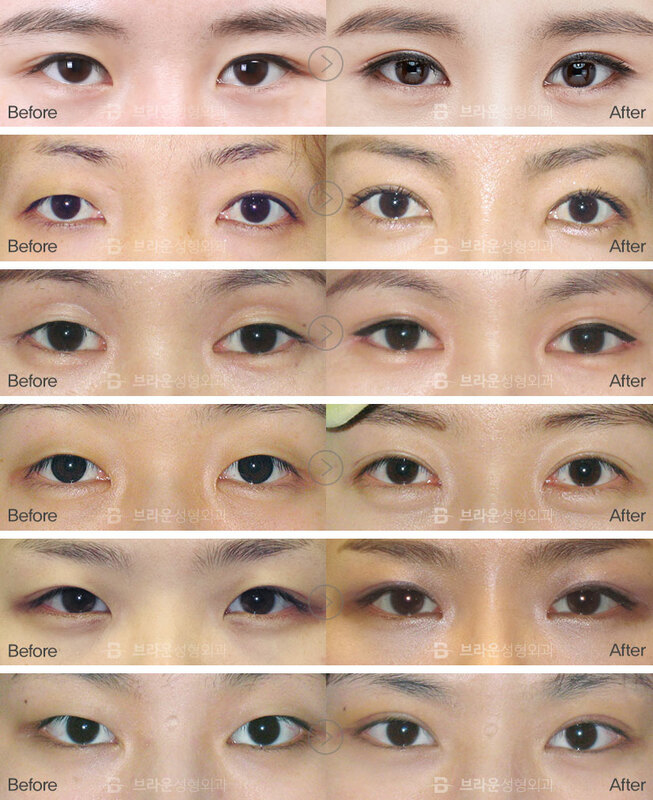 Removal of fat in the eye and creating a double eyelid are performed at the same time, so it’s natural with the eyes open or closed. It doesn’t come undone because it creates adhesion between the skin and the muscles of the eye under the skin. 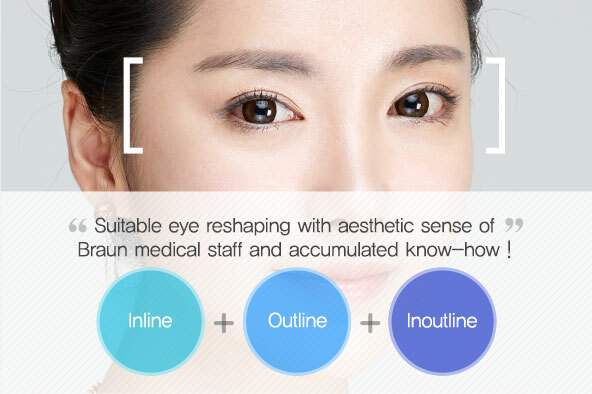 Since the height of the double eyelids can be checked in the middle of the operation, it is easy to correct the asymmetry of the line. The thread is not visible due to natural adhesion. The operation time is within 20 minutes and recovery is quick because there is less swelling. 7. Removal of fat from the eyelids at the same time! 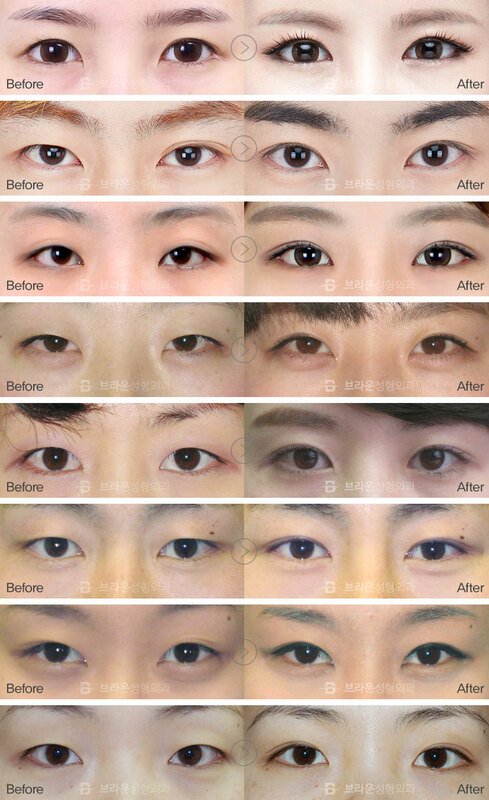 During the double eyelid surgery, thick eyelids can getslimmer. We will create the most suitable eyeswith our leading aesthetic sense. Braun’s natural adhesion method can be applied to all shapes according to the patient's eye shape and overall face harmony.